Will the PC release see another big-name exclusive for Epic? Borderlands 3 will be out on September 13 later this year, and will be sold on the Epic Games Store, according to the rumor mill – and the possibility that the game could be an exclusive for the latter on PC has also been floated. The purported release date comes from a now-deleted tweet put out by the official Twitter account for Borderlands 3, as highlighted by a certain Wario64. As you can see, apparently the release date of September 13 was accidentally spilled, and a video advert for Twitter (which was also quickly yanked down) was also shared, which carries an Epic Games Store logo in the bottom-left corner, next to the publisher and developer logos. 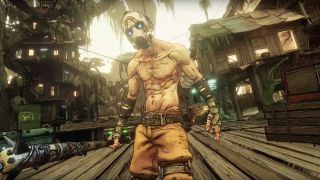 The latter has led some to speculate that perhaps Epic has secured another high-profile exclusive, and therefore Borderlands 3 won’t be offered on Steam. There’s hardly proof of that here, but what’s interesting is that as Engadget highlights, Gearbox CEO Randy Pitchford shared three tweets which seem to hint that an Epic exclusive could indeed be on the horizon. Although again Pitchford didn’t commit too strongly, and repeated the line that it was publisher 2K’s decision ultimately. What’s also interesting is that Pitchford has voiced his support for Epic in the past on Twitter. As we observed in our roundup of all the latest Borderlands 3 news, in December of last year, he enthused that he was “excited” to support the Epic Games Store, and followed that comment up as you can see below. At any rate, more observant readers may have noticed that both the deleted tweet and video popped up yesterday, which was of course April Fools’ Day. This does not seem to be a joke, however, given Pitchford’s responses, and the fact that the spilled material was quickly removed, which it surely wouldn’t have been if this was supposed to be a gag. Besides, if it was an April Fool, it’s a terrible one with no real apparent ‘joke’ (a publicity stunt, on the other hand, would arguably make more sense). Still, we do have to treat these revelations with a good deal of caution, both in terms of the release date, and the possibility of Borderlands 3 being an Epic Games Store exclusive. More details on the game are supposedly coming from Gearbox tomorrow (April 3). Pitchford revealed some initial info about Borderlands 3 along with the first trailer at a PAX keynote last week.